(Nanowerk News) Researchers studying cancer and other invasive diseases rely on high-resolution imaging to see tumors and other activity deep within the body's tissues. Using a new high-speed, high-resolution imaging method, Lihong Wang, PhD, and his team at Washington University in St. Louis were able to see blood flow, blood oxygenation, oxygen metabolism and other functions inside a living mouse brain at faster rates than ever before. 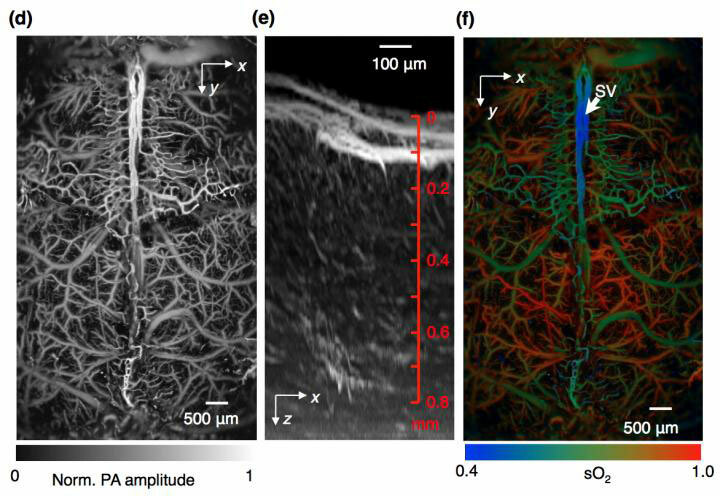 The results are published March 30 in Nature Methods advanced online publication ("High-speed label-free functional photoacoustic microscopy of mouse brain in action").